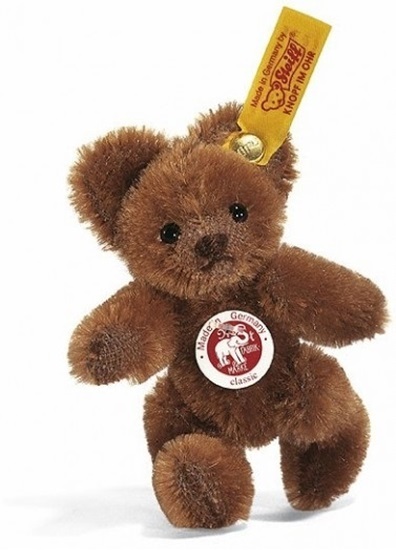 This miniature teddy bear is made from the finest russet-brown mohair. He is fully jointed and surface washable. He is 4 inches tall and comes with the yellow tag "Button in Ear".